LTF. Three letters nobody likes to see (almost as much as “IRS”). Lost-to-follow-up patients are a sign of failure on our part as providers: failure to engage, overcome obstacles and meet the needs of our patients. From a clinical outcomes standpoint, research conducted at the Grady Diabetes Clinic in Atlanta showed a .12 percent reduction in A1C for every intervening appointment after the initial appointment during the first year of care, with peak improvement when 6–7 clinic visits take place in the first year. 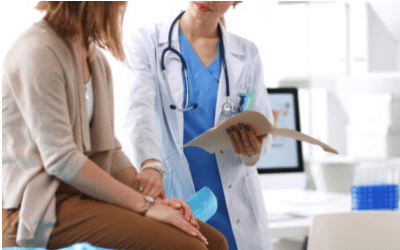 A study at Mass General showed that no-show rates correlate negatively with preventive health screenings, and positively with A1C and acute care costs. In fact, data from the University of Virginia indicated a 24 percent increased likelihood of having an A1C above 9 percent with every 10 percent increase in missed appointments. There is also a degree of personal job satisfaction associated with improved patient retention rates. Building long-term relationships with patients allows us to share in their successes and provide higher-level self-management training/education. Repeat patients are the types who speak highly of us with our supervisors, and there’s just something nice about seeing friendly faces through the course of a clinic day. Some aspects of patient retention are beyond our control, such as insurance coverage, out-of-pocket costs, and proximity, although there may be opportunities to work with administrators to improve coverage, and setting up telemedicine/telehealth services can overcome any distance barrier. • Make positive first impressions. Be friendly, welcoming, smiling and warm. This applies to everyone, from the person who answers the phone to the person who performs the check-out. • Allocate time for listening to what your patients have to say. Even if what they say isn’t directly diabetes-related, it may provide clues that can enhance the value of the appointment. • Communicate between appointments. Phone calls, letters, e-mails and text messages go a long way towards letting the patient know you care. Be involved on social media. • Study the patients who are LTF. Find out why they left. See if you can identify common issues that you or your department needs to work on. • Recognize the small accomplishments. Focusing on the positive makes people feel good and want to do more. • Express interest and genuine concern in each patient’s personal needs. The majority of people who leave a medical practice do so because of a feeling of indifference. • Make the “administrative stuff” as patient-friendly as possible. Have an engaging website, and keep it updated. Make appointment scheduling a breeze. Confirm appointments in multiple ways. Set hours that meet patients’ needs. Sit in your own waiting room and look for ways to make improvements. • Stay ahead of the technology curve. Patients should be coming to you for expertise, not the other way around. Remember: Retaining patients is an important part of the clinical, financial and emotional aspects of any diabetes care program. It’s well worth your investment. About our expert: Gary Scheiner, MS, CDE, is owner and clinical director of Integrated Diabetes Services, a private practice specializing in intensive therapy for children and adults. He has lived with Type 1 diabetes for 30 years, is a certified diabetes educator and was named Diabetes Educator of the Year 2014 by the American Association of Diabetes Educators.